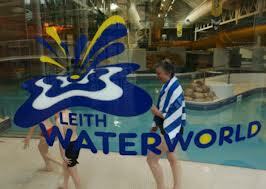 Tomorrow the Labour/SNP administration will decide on whether to honour its ill advised commitment to allow pressure group Splashback yet more time to work up a feasible plan to run Leith Waterworld. The alternative is to accept an offer for the sale of the empty premises. An offer of £1m has been received from a company intent on creating a commercial play facility for young people and their families. Today the administration has indicated their intention to break their commitment to the Splashback campaign group and sell the premises. This will be the welcome culmination of a period characterised by indecision and U-turns which has up to now cost the taxpayer dearly and will continue to do so. Edinburgh Conservatives have consistently urged that the only responsible option is to sell the premises. The campaign group bid has been an expensive distraction of time, money and resources long after the key decisions were taken. Proceeds from the sale were to have been allocated to the funding of the refurbishment of the Commonwealth Pool and the delay in the closure and sale has resulted in annual increased costs to the council tax payer of almost a quarter of a million per annum (including £85,000 in borrowing costs £154,000 for annual maintenance of the vacant property). At last it appears the current SNP/Labour administration has been forced by common sense to do the right thing – albeit belatedly. 1. The report can be found here. (Further links to previous reports and decisions can be fond in this document).